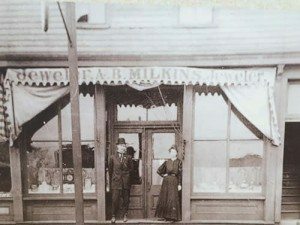 Milkins Jewelers was established in 1905 by Archibald Burdett Milkins in Wyandotte, Michigan. We have exceeded 100 years of outstanding retailing in Southeastern Michigan. 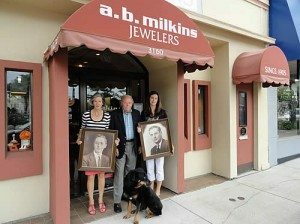 Milkins Jewelers is now entering into its fourth generation. 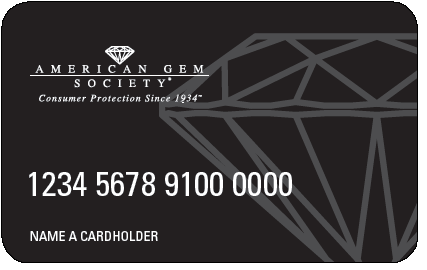 We are a proud member of the American Gem Society which holds the highest standards and ethics in the jewelry industry. We are also a member of GIA (Gemological Institute of America), JA (Jewelers of America), JSA (Jewelers Security Alliance). Our staff is trained by both GIA and AGS. Milkins Jewelers was recently honored by Jewelers of America and The Michigan Retailers Association as a Centennial Retail Jeweler. We would like to personally invite you to visit our store at its original location in Wyandotte, Michigan. Milkins prides itself on customer satisfaction. We feel the greatest sense of accomplishment when we have a happy customer. We believe in an honest approach to selling. Our pricing policy at Milkins is simple, we offer fine jewelry at fair prices the first time you ask. We do not inflate our prices in order to give you a false “discount”.